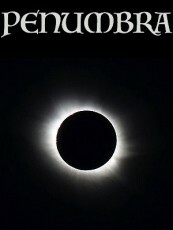 Penumbra is the story of the first civilization, 550 million years ago. When the world had one land mass, today we call it Rodinia, they called their home "Arderon". When the light and dark forces of life was at an extreme unbalance, and the future of the first civilization was at stake; one man named Shade unknowingly steps forward into the war against his race. As he ventures through the light of his future, he slowly discovers his dark past and his worlds collide in epic fights of fist, sword and darkness. Join Shade on his attempt to stitch his world back together, one death at a time.